Do you need business solutions? Has your marketing and event budget been cut? Is there more pressure to get results without breaking the bank? 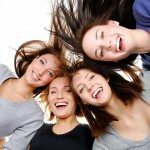 Are you looking for a strategic way to build your customer base? 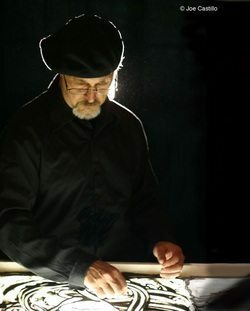 You don’t have to pay for a troupe of entertainers, Joe Castillo travels with his “SandStory” light table and is a one-man power packed event. With over 20 years in advertising, Joe Castillo’s “SandStory” performances produce business solutions and tangible results. Joe Castillo can fully customize “SandStory” pieces that can be laser targeted to your event. Businesses may offer similar products and services, yet each possesses its unique business marketing goals. With over twenty years of successful advertising experience, Joe Castillo is the only Sand Artist that can customize his craft to any business marketing goal or a particular event. Joe is an artist, author, and storyteller with a passion for promoting a corporate message using the visual arts as a way of touching the heart. He has inspired millions of people through his Sand Animation. Joe Castillo brings sand art to life with his incredible, awe-inspiring SandStory productions. If you have a love for unique art that will reap a roar of attention and applause, then you will enjoy this undeniably brilliant artist! Joe Castillo has secured an outstanding amount of awards for his work including the American Entertainment Readers Choice Award, Entertainer of the year-solo, Finalist Unique Art Awards as well as CINE Golden Eagle for his PBS documentary as well as other awards for his incredible work. Young and old alike will walk away with a greater appreciation of the arts and will be asking for more once they are exposed to his gift. Do not miss out on the opportunity to indulge in the profound experience of Joe Castillo’s Sand Art productions. Why trust your corporate message to jugglers and clowns when you can use an experienced professional? Sand Story is the most innovative way to get your message across. For additional information on business solutions from Joe Castillo or SandStory, email Tim Grable or call 615 283 0039.